Aston Martin is set to unveil a new lightweight, race-focused version of the V8 Vantage, called the GT8. 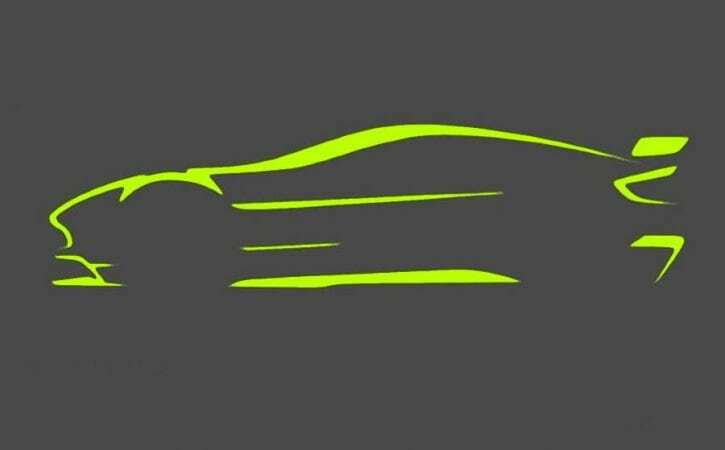 Aston has sent out invitations to potential GT8 buyers, complete with an early sketch of the car, slated to be the lightest Vantage ever made. As with the V12-powered GT12 revealed last year, the GT8 is set to use carbon fibre, titanium and aluminium to create a stripped out sports car that can rival Porsche’s 911 GT3 RS. Performance details haven’t been revealed but 0-60mph is likely to take around 4.5 seconds – three-tenths quicker than the V8 Vantage S.
We’ve been told prices will start at around £170,000, but as with the GT12, there will be some costly options on offer to further boost the GT8’s performance. Expect to see a manual seven-speed gearbox offered alongside the SSII automatic transmission. Only 100 GT12s are set to be built, and Aston is said to be limiting GT8 production to 150, with around 40 of those destined for sale in the UK. The car will be fully revealed to customers this week, so expect official pictures and details shortly.